A completely new type of product is causing a sensation in the food industry: laboratory-grown meat. Something considered virtually impossible just a few years ago is now a reality; after years of research, real meat has been cultivated in the laboratory and developed into a marketable product. The importance of laboratory meat can be attributed primarily to the changing needs of consumers. A growing number of consumers have for some time been demanding healthier food grown and processed with fewer chemicals and antibiotics, produced with a lower ecological footprint and with transparency in its labelling. Increasing health and environmental awareness and global trends such as the vegan movement are permanently changing the eating habits of the population. The food industry is well aware of this development and is adapting to it. 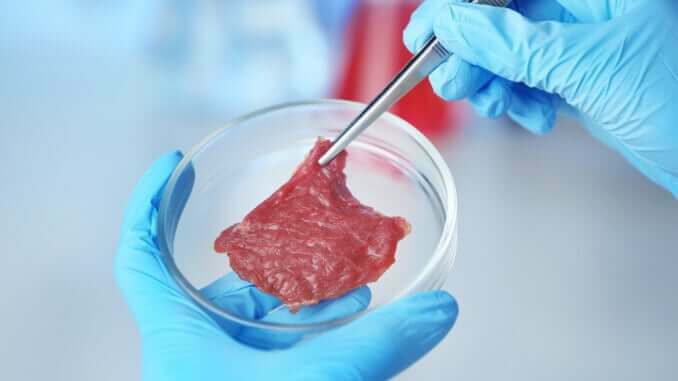 Laboratory meat is regarded by some as the market of the future, although meaningful market data is not yet available and the market launch is still pending. However, market studies predict significant growth for this segment and industrial giants such as Tyson Food and Cargill are already investing heavily in it. As laboratory meat becomes more and more important commercially, a more consumer-friendly name for future products is also under discussion. Labelling the meat as “laboratory bred” could be off-putting to consumers and reduce market opportunities. That is why the term “clean meat” has been widely established to exclude unwanted associations. This term is also intended to draw consumers’ attention to the health benefits compared with conventional meat. In addition, the process of artificially cultivating this meat is called “cellular agriculture” in order to emphasise the naturalness of the product and to counteract the image of artificial meat grown in test tubes under laboratory conditions. Cellular agriculture thus becomes the science of agriculture, in that animal cells are “harvested” and propagated by pigs, chickens or cows in an ethically justifiable way, instead of breeding and killing the entire animal. Ultimately, all these new terms are, of course, publicity tricks used by professional market researchers and marketing experts with the aim of increasing consumer acceptance. In fact, laboratory meat is much safer than is often assumed. This is made possible by the controlled production conditions. Many problems in the area of food safety which arise with conventional animal rearing are not present with clean meat. Consumers of the new cellular agriculture products now also have their own name. Experts have called them “neomnivores”. The exclusive consumption of such products is accordingly called “neomnivorism”.